IGTV, Instagram’s response to YouTube’s preeminence in long-form video, has failed to take off as originally planned. According to Digiday, “publishers have liberally been re-purposing their YouTube videos for IGTV.” While some IGTV videos have found success, the lack of original content on the platform will likely stymie long-term growth. In October, Meredith announced that it was releasing 10 original shows for IGTV. Vice also announced it would begin hosting original content on IGTV and Snapchat. However, there seems to be little incentive for the majority of publishers to invest fully in the nascent platform. Repurposing content, though cost-effective, signals that many publishers are still hesitant to commit to IGTV as a competitor to YouTube. Rather, IGTV seems to be getting by on the reputation of Instagram proper. Should IGTV continue to grow in 2019, early adopters will likely be rewarded for their patience – if the growing popularity of Instagram is any indication, IGTV should become a viable advertising channel eventually. In the meantime, Instagram has shown more support to creators on the platform, adding features like the ability to share IGTV videos in stories, so as to bridge the gap between the standalone app and regular Instagram accounts. However, the lack of ad-sharing features gives influencers less incentive to break into IGTV as they would YouTube. YouTube, though often criticized for its policies, offers monetization and ad-revenue sharing for creators who reach a certain threshold of views. IGTV is yet to offer anything similar. Because long-form videos inherently cost more to plan and produce, there is currently little reason for IGTV to gain traction with anything other than re-purposed content. The survival and success of IGTV thus hinges on Instagram’s ability to offer ad buys and revenue sharing features, so publishers and influencers can monetize their efforts. 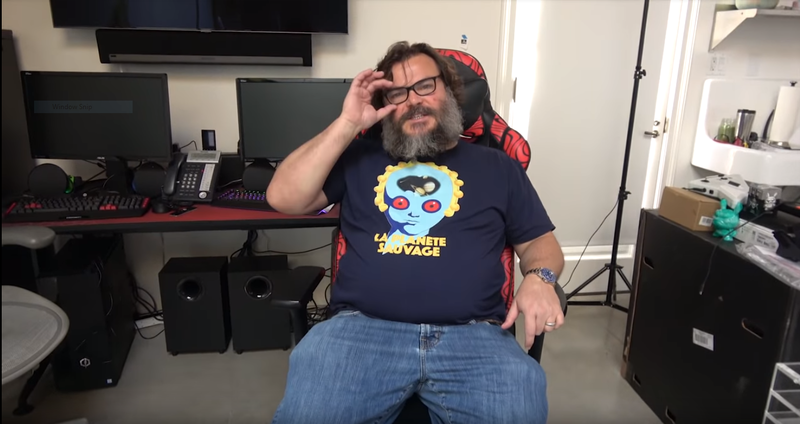 Jack Black recently amassed over 2.5 million subscribers in under two weeks for his gaming-related channel on YouTube, translating his celebrity stardom to digital fame in an instant. He’s not the only celebrity to try their hand at content creation for social media: John Mayer, Dwayne Johnson, and Reese Witherspoon are just a few examples. However, when an influencer wants to translate digital fame into bona fide celebrity status, does the street go both ways? Many musicians, comedians, and more have gotten their start on social media, but there’s a difference between getting discovered and achieving wide-reaching success. As it stands, celebrities with decades-long careers will always have a leg up on digital influencers who have only had a few years at most to accrue their status. Yet, the tide might be changing. The fundamental difference between a celebrity and a digital influencer is the way they built their fame. Beyond that, the lines blur. Traditionally, celebrities like musicians, actors, and the like, derive their fame from public exposure on behalf of larger companies. Whether it’s radio, TV, or movies, traditional celebrities generally have access to audiences through a variety of media and established networks. As such, the filter for celebrities is often possessing certain talents above the ability of the layperson. While social media can open doors for any talented person with internet access, talent is not the prerequisite for digital influence. Influencers can achieve digital fame with their blogs, dogs, or even their travel habits. Though YouTube and Instagram remain platforms for discovery – with stars like Shawn Mendes and Charlie Puth owing their success to their humble beginnings in front of a webcam – success on social media does not guarantee celebrity stardom. That said, actresses like LeLe Pons transitioned seamlessly from Vine success to movies and TV shows. Sommer Ray, a model who found success on Instagram, leveraged her following to become an internationally renowned model in a few short years. In some ways, social media has democratized the traditional celebrity mold, eliminating barriers to entry for massive exposure. The resultant hybrid celebrity, who simultaneously curates digital fame while partaking in mainstream pop culture, is a testament to the impact influencers have had on society at large. That an Instagram handle can become a household name speaks volumes for the impact influencers can have – and it’s entirely possible that in the near future, there won’t be much difference at all between celebrities and digital influencers.